Penguin 3.0 Finally Arrives, Is it Time to Change your Hotel Marketing Strategy? 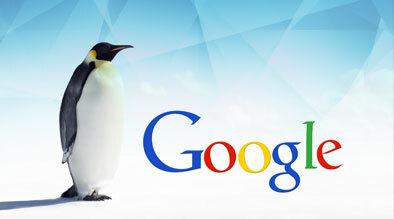 A year has passed since the last Penguin update, allowing search and hospitality marketing industry experts plenty of time to speculate how Google will improve their anti-spam practices. No one wants to search hotels in Jacksonville and see snow skiing equipment websites, so Google continuously creates algorithms to block spam sites from their SERPs. The list below highlights the Penguin algorithm updates that got us to where we are today…Penguin 3.0. 4/24/12 Launch of Penguin: Attacked sites that deliberately manipulated their link-building (think: link farms) and had overly optimized moneymaking anchor text. Impacted 3.1% of search queries. 5/22/13 Penguin 2.0: Focused on more website pages than just the homepage to discover spam and poor links. Impacted 2.3% of search queries. 10/17/14 Penguin 3.0: Initial focus seems to target websites that have backlinks from poor quality blogs and link networks. Updates rolling out over the next few weeks, impacting 1% of all search queries. How Does This Affects Your Hotel Marketing Strategy? If your hotel has bought bulk links, has pages that look colorful due to the large amount of anchor text, or you are heavily linked to unrelated blogs, you should fear Penguin 3.0 and take immediate corrective action. For everyone else, use Penguin 3.0 as a reminder to create good hotel website content. When considering inbound links, first research if the website or blogsite is relevant to your hotel guests and if it will drive quality traffic to your hotel website. If the answer is yes, or even a good chance, then go ahead and link! Gaining credible, authoritative inbound links, however slow the process is, will continue to be an important hotel search engine optimization strategy. The travel sector has seen large changes from Penguin 3.0 due to the lack of relevant travel blogs, but continuing to focus on quality links over quantity will help your digital marketing strategy. Did Penguin 3.0 live up to the anticipation? The earth did not shake, but to be fair, the roll out is not complete and Google even stated it was a “refresh”. It is important to note that only 1% of all searches are affected, so when the hospitality and travel industry is highlighted as an industry with the most change, keep the big picture in mind! If you are practicing solid SEO marketing strategies you should not fear any Google update, in fact the updates should help your organic search results.